Lots of blowouts this week plus the contenders separated themselves in the conference. The Big 12 is up for grabs for five teams now and then race to the finish will be tight throughout. 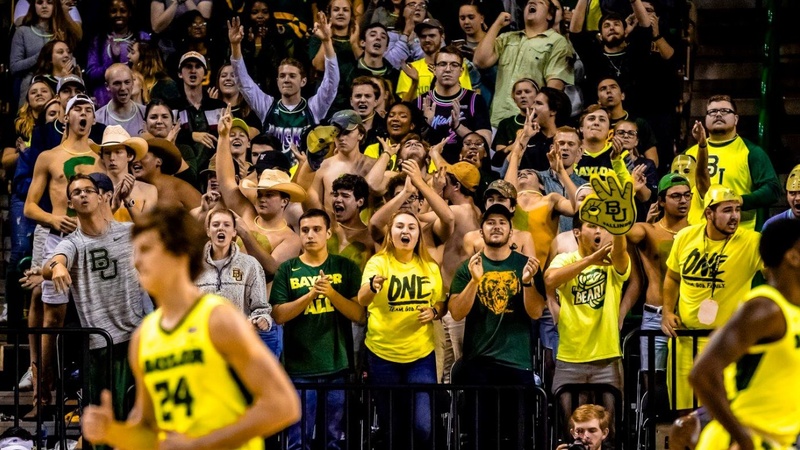 The hottest team in the Big 12 and one of the hottest teams in the country are the Baylor Bears. Baylor demolished Oklahoma and TCU last week which solidified the Bears as contenders in the conference. This week the Bears have an opportunity to make an even bigger statement as they travel to Austin to take on the Longhorns and then get a home game against Kansas State. These are two very winnable games and anything less than a split would be disappointing and could put Baylor out of the Big 12 title racem, but I believe they will achieve at least a split and I actually think they will win both. The Wildcats had the worst loss of any Big 12 team in the SEC challenge when they lost to a very poor Texas A&M team. I was curious how they would respond and they did in a big way, winning big on the road against Oklahoma State. The Cowboys aren’t a great team but they have been very competitive most games at home. Kansas State now gets ready for the biggest week of their season as they take on Kansas at home and head to Waco to face Baylor. If they win both they should be the favorites to win the conference. The Cyclones are the second hottest team in the conference right now and are playing like contenders in the conference and have so many guys that can score the basketbal.l It is all about staying healthy now through the rest of the season. The Cyclones destroyed West Virginia and then held on to beat a better than the record says Texas team. They follow it up with a fairly easy week coming up and should go 2-0. The Jayhawks had an up and down week with a big loss and a big win. The loss of Udoka Azubuike showed up once again in the loss against Texas as the ‘Hawks were dominated by Jaxon Hayes. They then turned around and shot lights out against the best defensive team in the league. The other bad part of the week was when they found out that Silvio De Sousa will not be eligible for the rest of this year or next which was a surprise to me. Kansas is beatable as we have heard many times during their Big 12 regular season dominance and they won’t be getting any help down low. They have a massive game on Tuesday in Manhattan. The Red Raiders offense finally picked up against TCU as they destroyed the Horned Frogs in Lubbock. They then traveled to Lawrence and the favor was returned as the Jayhawks got hot from the field. I think Texas Tech is a very good team but they have too many holes to be a great team. I personally believe if they lose one of the games this week they are out of the Big 12 race. Texas is one of the most confusing teams in the country because they have quite a few quality wins but also 10 losses. This week they added Kansas to the quality win side and then fell at Iowa State, but overall I would say that is a pretty good week for the Longhorns. They need to at least split their games this week but if they win both that would go a long way towards helping their tournament hopes. The Horned Frogs had a tough schedule last week with two road games, but it wasn’t the losses that were troubling, it was the way they lost. They were pummeled twice and appear to be falling apart. TCU will have to win on Wednesday or Jamie Dixon’s team could completely melt. The Sooners are another team trending in the wrong direction in a big way. They were destroyed by Baylor at home and then followed it up with what might have been a worse showing as they lost at West Virginia despite the Mountaineers being without their best scorer. The schedule does not get any easier but they need to win one of their two home games this week at least to avoid a massive skid to the bottom of the league. Give the Cowboys credit as they have not mailed it in and if it wasn’t for their win over South Carolina the conference would not have won the challenge. However, they still are just not very talented and the schedule does not get any easier. This team will stay in the bottom three all the way to the end of the year and will likely lose two more this week. Another team that will stay in the bottom three all year long. This past week Mountaineers was demolished by Iowa State but then went home and got a big win over the Sooners. They just don’t have enough scorers to do anymore than pull a few upsets off at home this season.